Hamilton student raises $35,000+ for LSS - Hamilton School District. The fundraising efforts of Hamilton High School senior Mikayla Cup resulted in $35,138.84 for the Leukemia & Lymphoma Society (LLS). Cup spearheaded a 7-week campaign that was supported by Hamilton’s Student Council, National Honor Society, Club Action and Club Unique. Students sold cookies, brownies, flowers and locker decorations and sponsored a “Put Cancer to Bed” pajama day to raise about $5,000 for the cause. Most of the contributions for Cup’s campaign came from direct cash and online donations. The campaign supported LLS’s mission to find a cure for blood cancers and assist patients and families as battle the disease. Leukemia is the most common cancer in children, adolescents and young adults under the age of 20 years old. 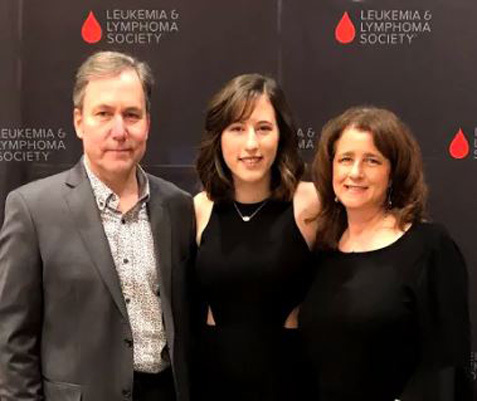 In addition to raising money, Cup said her goal during the campaign was to generate awareness about blood cancers and bring the community together in support of LSS. LLS is the world’s largest voluntary health agency dedicated to blood cancer that funds lifesaving blood cancer research around the world and provides free information and support services.